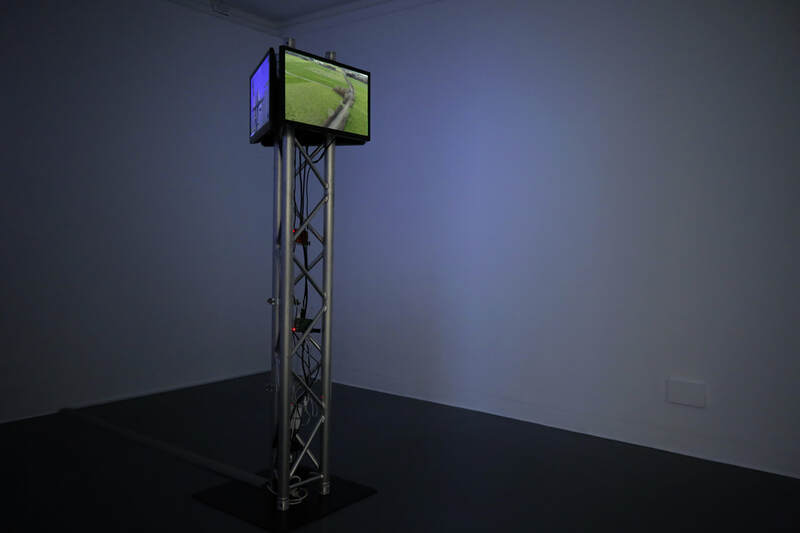 Sites for Watching is a video artwork that processes links between people, technology and nature. It was created while O’Brien was artist-in-residence at Cow House Studios in Co. Wexford, and the footage focuses on a site local to the studios, Johnstown Castle. This highly monitored space is home to 3 research operations: Johnstown Castle Dairy - Teagasc’s research dairy Farm, Environment Research Centre for soils, air, water quality and agro – ecology, and Met Éireann’s Johnstown Synoptic Automatic Weather Station.